Dr. Bagheri would like to thank N. Galligan for their review of his book in the British Dental Journal. 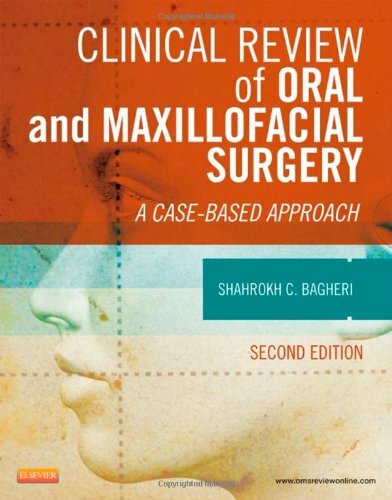 Organized around real patient scenarios, Clinical Review of Oral and Maxillofacial Surgery: A Case-based Approach, 2nd Edition, includes over 100 teaching cases that are brought to life with an overview of the most common clinical presentations, physical examination findings, diagnostic tools, complications, treatments, and discussions of possible issues. This text covers the full scope of modern oral and maxillofacial surgery. This is a great book for those with an interest in maxillofacial surgery, with a very straightforward layout. The first part discusses pharmacology and anaesthesia and their involvement with oral and maxillofacial surgery. The remainder of the book details the various conditions found in the head and neck, with each chapter clearly covering a specific area. The book takes you through oral and maxillofacial infections, conditions and pathology. An excellent feature of this book is that the discussion in each chapter is carried out through example cases, with each case having the same layout. The cases are informative yet succinct with relevant photographs, radiographs and diagrams to help the reader visualise the condition. Junior trainees within oral and maxillofacial surgery would benefit greatly from the cases discussed throughout this book as they are clearly laid out and easily understandable. This book could act as a good starting point for young trainees looking for clearly explained conditions in oral and maxillofacial surgery and their management. Overall, I found this book expressly informative. It is not overly technical and therefore easily understood. I like the case-based approach as it helps in retaining the information given. These cases can easily be applied to every day clinical scenarios within oral and maxillofacial surgery and are therefore great learning tools. I would most definitely recommend this book. To download the PDF version of the review, click here.